There’s a lot of conflicting information out there about making old Minolta scanners to work on Windows 7 (or Vista for that matter) but it’s actually straightforward enough They run fine under Vuescan as is, but to use the Minolta software you need a new driver – here. To install run the Minolta software installer. Make sure the scanner is not connected. Once installed and rebooted, plug the scanner in and fire it up. The Minolta software will say there’s nothing connected, Windows will ask you for drivers. Point them to the inf file linked at the top, let it install and job done. Restart the Minolta software and it will now run like normal. Hope that’s of use to some of you! 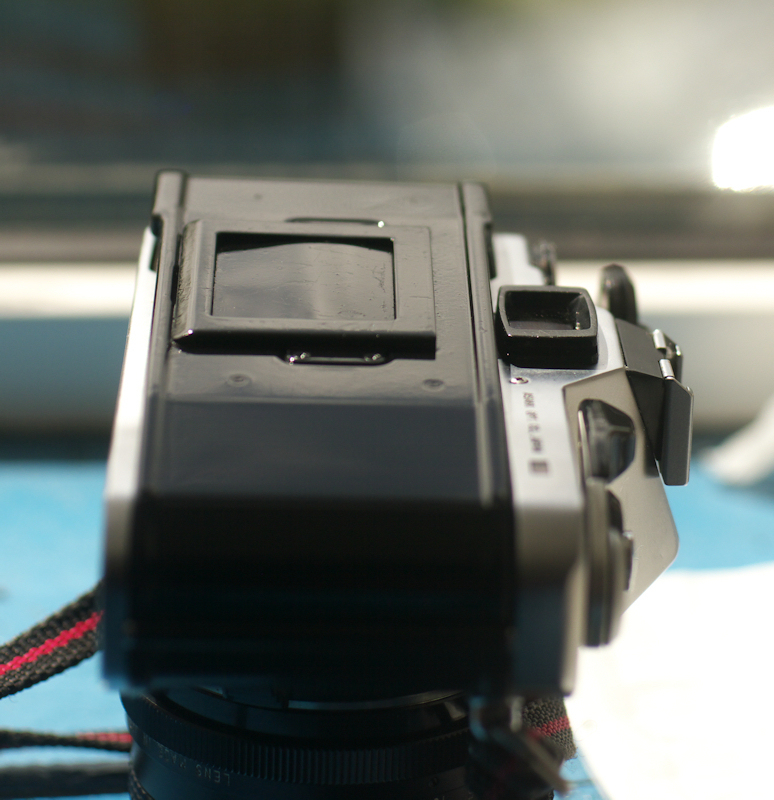 So I bought one of those Chinese adapaters to allow me to use my old Minolta glass on my Fuji DSLR. It’s got a glass element in it to allow infinity focus, which is also it’s weak link, but I decidd to have a play and see what could be achieved. If you can control the lighting it’s actually really rather good when coupled with a Rokkor MC 58mm f1.4 PF lens. It gives a really nice soft dreamy focus – but what is really incredible is despite this softness, it actually outresolves Nikon’s own 50mm and 35mm DX f1.8 lenses! Crazy! I suppose I shouldn’t really be surprised, I’ve long held Minolta lenses in very high esteem and Nikkors, well not so much. There is of course a downside. It seems that my beloved 45mm f2 does not work well on this adaptor. It was my favourite lens on m4/3, being ultra sharp and having a wonderful 3D endering. Unfortunately when limited by Chinese milk bottle glass it loses all it’s magic. Neither lens performs exceptionally in strong light with wide aperture, thanks to the colours bleeding quite badly, but sticking to high key type stuff the 58mm should find a few uses – and it’s still infinitely preferable to a Nikkor 50mm! A Big thankyou to HighKey in Oregon! So I got fed up of the ridiculous optech strap ends on my LX, and decided to do womething about it. Enter my old XD7 (scrap) – my what lovely strap lugs you have! A large amount of wrestling with wire cutter pliers to unscrew the Pentax fittings from the body, and a good glug of Epoxy resin later and the Pentax can now take normal straps, that don’t get in the way when shooting! It;s very much a non reversible process, but considering my LX is not far away from scrap itself, I’d say it was worth it. Digital compacts have come a long way…. My LX5 is actually useable to take photos with, although there is no hope in hell of any shallow depth of field, Being able to use f2 in a landscape situation as if it were F11 is very useful for situations where there’s no time to set up tripods and such like. Here’s a few examples from Dinorwic Quarry, all shot handheld ISO 200 and at f2 (or whatever it stops down to as you zoom). I leave it in Aperture priority at F2 and never have to worry about it! Would be nice to see a landscape scene mode where it sets itself to hyperfocal distance and stays there, would certainly speed up shooting in fun changing light! This is another little toy to keep me amused – a Minolta XD11 in black, fresh from the states. It appears to have previously been the property of a Mr. Leinwohl of Illinois, wouldn’t it be great if I could find out who that was? Anyway, I’ve been tinkering and replaced the black dials with chrome ones for a nice old school look and may well carbon wrap it similar to the Pentax ME I did last year. First thing’ first though, it seems to have a bad earth so it’ll be off to Mr Whitehead for a full service when I get chance. 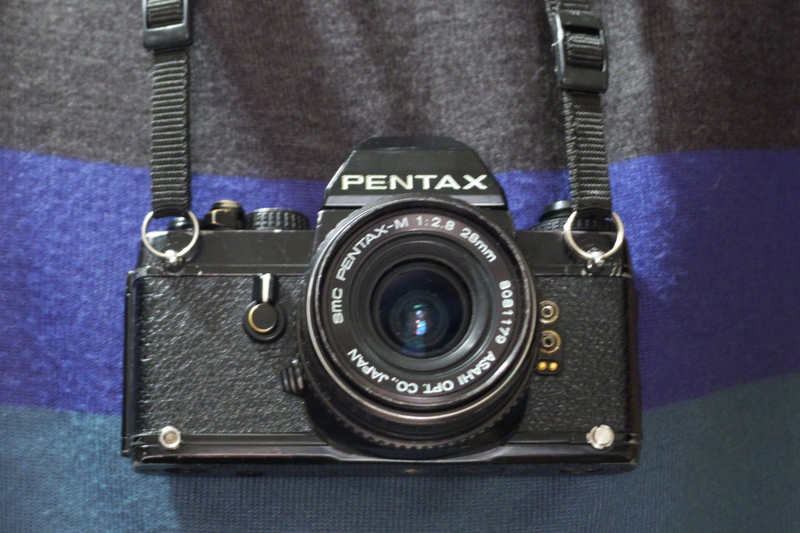 The Pinstripe Pentax: bored of leatherette? Fortunatly I have a contact who wraps cars – who offered me a nice offcut, which is big enough to cover many cameras! 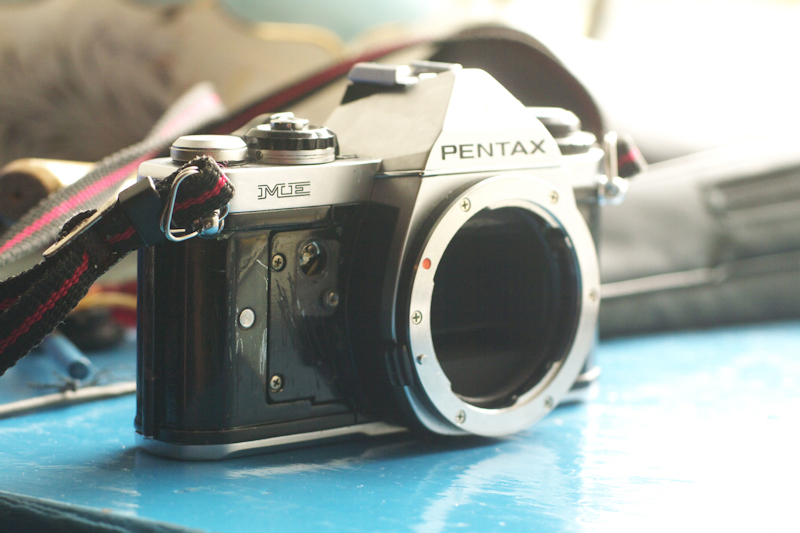 For this venture I decided that my Pentax ME would be the victim. It’s a camera I don’t really use, I bought it because it was attached to a lens I wanted, and was cheap. It also had the leatherette peeling off so that was a start already made on the project! So, step 1: Peel off the old leatehrette. Easy enough, then comes the tedious bit, cleaning up the glue. I used Autoglym Intensive Tar remover for the job, it’s essentialy just label remover/distilled petrolum/lighter fluid in a posh branding. Then I decided that since the new vinyl may not be removeable, that it was best to chek the camer over mechanically,so popped the top and bottom plates to find everything in really good shape, so just a few drops of oil from a precision oiler to the gearwork and linkages was all that was necessary. Despite it’s battered exterior it has a heart of gold. Step 2 – the film door. This was badly cuffed up, so I resprayed it. It took 3 attempes. Attempt 1, the paint had gone off, and looked like orange peel. It was also full of dust because it took so long to dry! So I sanded it down again, and sprayed with a fresh can. it looked great – for around 20 seconds till it reacted with the old paint and crackled! This time I took out the paint stripper on it and repeated the painting, and finally it worked! Step 3 – the new vinyl. It’s quite easy to work with the new carbon vinyl (I’m using Hexis wrap), as I already had the old leatherette covers as templates it didn’t take long to knock up the new coverings and fit them, and the results I think are rather nice.